This is the first of three significant waterfalls on Butte Creek accessible along the Butte Creek Falls trail system. The Upper falls drop over a wide, uniform and extremely undercut ledge into a large pool below. Paths lead behind the falls into the deep grotto from the trail near the falls. 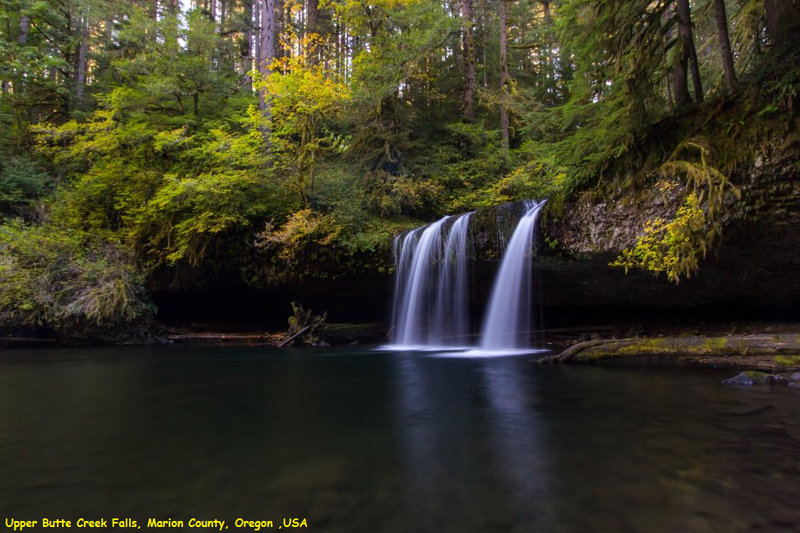 The falls are accessed via an excellent trail system, built by the Oregon State Department of Forestry, which has set aside a chunk of land surrounding the falls for protection, which is nice to see, after driving through the massive clear-cuts n route to the falls.